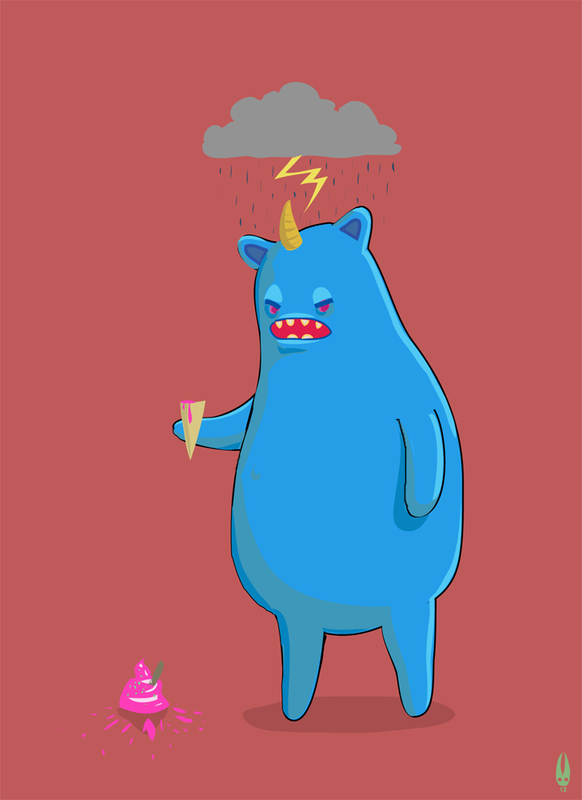 Asti's Art: Ice-creams and dinosaurs! 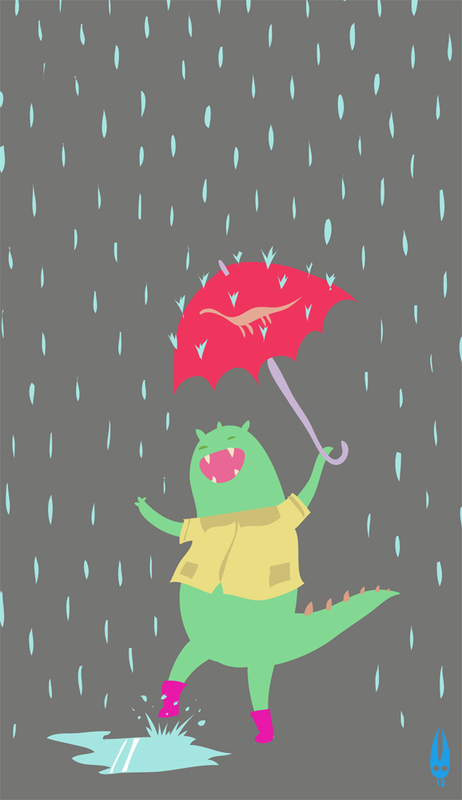 More playing with Illustrator, just simple cute lil pics (the sort of thing that could work on a t shirt or a card, maybe?) 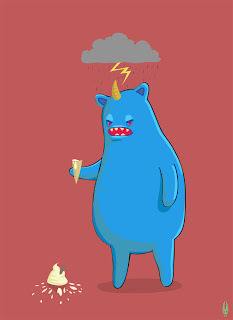 Here we have a monster who's dropped his ice-cream - devastating, we can all agree. 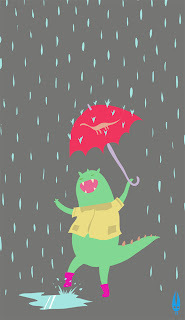 : | Then a very happy dino, singing in the rain!